Renata Litvinova as Lyubov Ranevskaya in Moscow Art Theater's The Cherry Orchard. Stage Russia brings Russian theater to a global audience by filming live productions performed by Russia's most renowned theater companies. With the help of SpectiCast Entertainment, the films are distributed to cinemas throughout the world. By next spring, five Russian classics will be on the big screen in the UK, Ireland and the U.S.
Moscow Art Theater's staging of The Cherry Orchard will be screened at London's Pushkin House on Jan. 12, 2017. 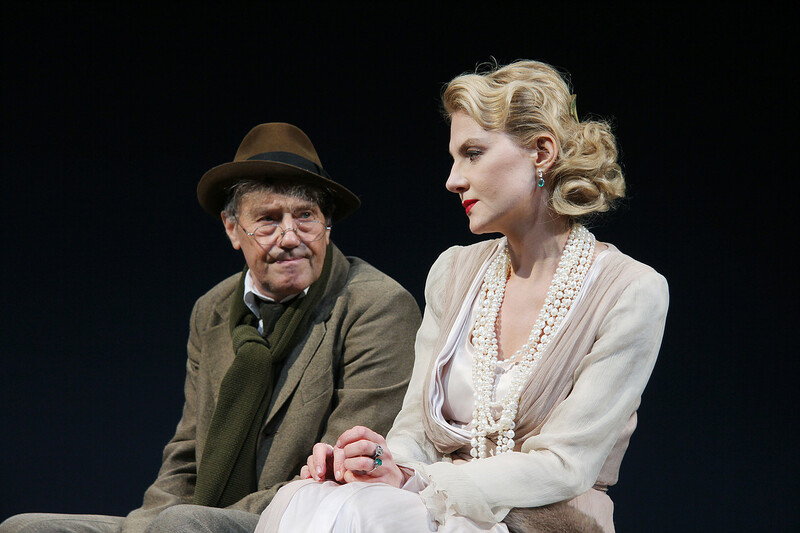 Based on Anton Chekhov's iconic play, the production is directed by Adolf Shapiro and has been being staged in the theater since 2004 starring leading Russian actors, such as Renata Litvinova. This autumn, Stage Russia HD has reached many cinemas in the UK and Ireland, after significant expansion throughout the U.S. and Canada. Stage Russia was created by Eddie Aronoff, an American with Russian roots. The idea of bringing Russian theater abroad came to him in his own personal quest to understand Russia, He realized theatrical art is one of the most powerful windows into the culture. "I thought, finally, that I had unlocked the elusive Russian soul, had found it while sitting in a ridiculously uncomfortable seat at the Praktika Theater near Patriarch’s Pond in Moscow," he says. "‘This’ I yelled during intermission to no one in particular ‘is Russia!’ I was nearly ushered out of the building." For now, there are only two productions that are screened by Stage Russia HD. The Cherry Orchard, performed by Moscow Art Theater, and Eugene Onegin, performed by Vakhtangov Stage Academic Theatre of Russia and starring Sergey Makovetsky. Screenings were sold out in LA, New York, San Francisco, Chicago, Detroit, Minneapolis and London. "Admittedly, the majority of the audience were nostalgic Russian expats, but there were sightings of Westerners here and there, too," Aronoff says. Stage Russia HD will soon release a production of Anna Karenina by Vakhtangov State Academic Theater of Russia. It is set to premiere on Jan. 19, 2017, in many British, Irish and American cities. (Find the nearest cinema to you here: www.stagerussia.com). Two more productions will be added in the spring: The Black Monk by Moscow Theater of Young Spectator and the Remarque’s iconic novel The Three Comrades, which has been staged by Sovremennik Theater for over than 10 years.